Today, you have a choice of restoration options. 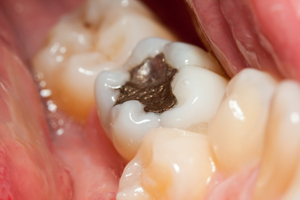 The most dramatic is composite, or “white” fillings. They’re a mixture of resin and finely ground glasslike particles that are as strong if not stronger than amalgam (you know it as “silver”). We can now use these new composites virtually everywhere, from repairing a minor defect to restoring a decayed tooth.